Sooner or later, depending on the circumstances, you might find yourself stuck in a whirlwind of fatigue, uncertainty, discomfort, stress and worry. But it doesn’t have to be this way. This post has been cooking in my head for a while now. So when a lovely team at Eve Sleep* got in touch with me and could one hundred per cent relate to my thoughts, we teamed up so I could share ideas and tips which help me bring my stress levels down, get my batteries re-charges and creative juices flowing. I’m here to boost up your mood, pat you on the shoulder, gently kick your bum to motivate you and wrap you in a virtual hug to comfort you. I won’t be putting on a show and telling you how much of a smooth sailing my life has been recently. Apart from the week in Mauritius. That was pure bliss. But since we came back, things have been challenging. The last couple of weeks have been extremely stressful. People might not know what you are going through at the moment. But you’re reading this for a reason, and I hope this post is helpful to you in some way. I used my own tips to help me keep my head right and have joy not dependent on what life’s been throwing at me. This wasn’t an instant reaction. It is probably one of the forever trending “hot topics”. Just like avocado (is avocado still trending?). Or the new Doctor Who. Or Stranger Things 2 (which I haven’t watched, by the way). Meditation is one of the best things you can do to start your day right. Especially when you’re about have a busy/potentially stressful one. We are (always) in such a mad rush through life that stopping to meditate seems like a waste of time. What I found out, after many years of searching for an answer and failing, a good day is not defined by how many things I managed to do and tick off. Even though it is nice to fly through your to-do list. A good day happens when your mind is in the right place. That’s why I meditate through prayer. After years of being “too busy” to stop and pray, bit by bit I’ve found my way back. I believe in God’s full control over my life despite the mistakes I might make or detours I might take. That’s why prayer time is so important to me. It helps me dis-attach from the current struggles, all the “noise” in the world and present worries, and look at the bigger picture. Say thank you. When you meditate, you get your mind work for you, not against you. Bad turns into good. Rough turns into calm. Circumstances can no longer shake your ground. Your focus is right. If you don’t know where to begin, consider starting a gratitude journal. You won’t believe, until you see it written down, how much you’re blessed daily. Just the fact that you opened your eyes this morning is a massive thing you ought to be thankful for. For many years my job involved a lot of screen time. For many years I only suffered from the physical negative effects of it: sore back, headaches, dark under-eye circles. All that jazz. Who doesn’t? Until the time fist time I realized how vital it is for your mental health to take a break from technology. I said this before and I will repeat myself. I am so thankful I was a teenager without a smartphone. I didn’t worry about posting a perfect selfie. I didn’t stress about the number of likes and/or comments. I didn’t scroll down somebody else’s feed comparing my life to theirs and beating myself up for being “behind”. I didn’t look at someone else’s flawless pictures comparing my looks to their and seeking out the flaws (in myself). Even though my teen years were tech-free, my life now isn’t. That’s why I made it a priority to guard my heart (from getting hurt because of the comparison monster or someone else’s negativity/jealousy), my mind (from inappropriate, harmful, destructive content) and my brain (from the sheer volume of information, 90% of which is completely irrelevant and useless). Social media is incredible but it can have a devastating impact if you don’t control how it affects the quality of your life. Stay connected. Stay aware. Enjoy the engagement. And take breaks to live offline. Here’s my post on FOMO (fear of missing out) to help you cope with being away from technology. The world won’t end if your screen goes black. I remember talking to a very good ol’ friend who’s known me for ages. And then I mentioned one social situation, and how nervous and uncomfortable I was. She was in shock, to say the least. She just couldn’t wrap her head around the fact that I might feel uneasy in a room full of strangers. Since I moved to the UK I’ve become a lot better at coping with situations like that. Now I genuinely do love meeting new people and hanging out with the ones I’ve met before. But sometimes I still need to go back into my own little shell. My security blanket. My space. Just to be alone for a little bit. Or spend time with my hubby who knows me inside out. It helps me to bounce back. It all probably stems from me being the only child (by the way, I’m not spoiled at all haha). I used to spend quite a lot of time by myself. It helped me learn to enjoy my own company and keep myself entertained. But I am A LOT more social and sociable now. And I have definitely learnt the importance of being out and about and among the people. I think it especially rings the bell with those who live alone or work from home. As much as you might enjoy it (or cope with it), comes the time when you feel like you’re going loco. Or you’ve had a super long and super stressful week. Go outside. Get yourself out of the 4 walls. You can either catch up with a friend over a cuppa, run errands or wander around (become a “tourist” in your own city/town/village for a day). Or reunite with the wild. Or, in other words, go for a walk to your local park, forest, lake, beach, you name it. If you’re a blogger and you’re reading this, RSVP yes to an upcoming blogger event (if you are able to make it). For ages I have been eyeing these beautiful (and practical!) DIYs on Pinterest. We all have a board (publicly or privately) that’s full of saved pins of amazing crafts, right? And we always tell ourselves to try it but never come round to it. No time. No energy. No interest. I am personally guilty and have used all three excuses before. But thankfully, I did find my creative outlet. In fact, you are on it right now. It’s Miel and Mint. My blog. To be honest, I don’t even remember what my life was like before blogging. How was I creative before? I probably was a lot more on social media for personal reasons. I probably watched more TV. I also had no idea how liberating and inspiring it would all be: writing, photography, working my bum off on good quality content, sharing and engaging with you guys. A friend once told me that blogging is stupid. It hurt but I understand that it’s not for everybody. 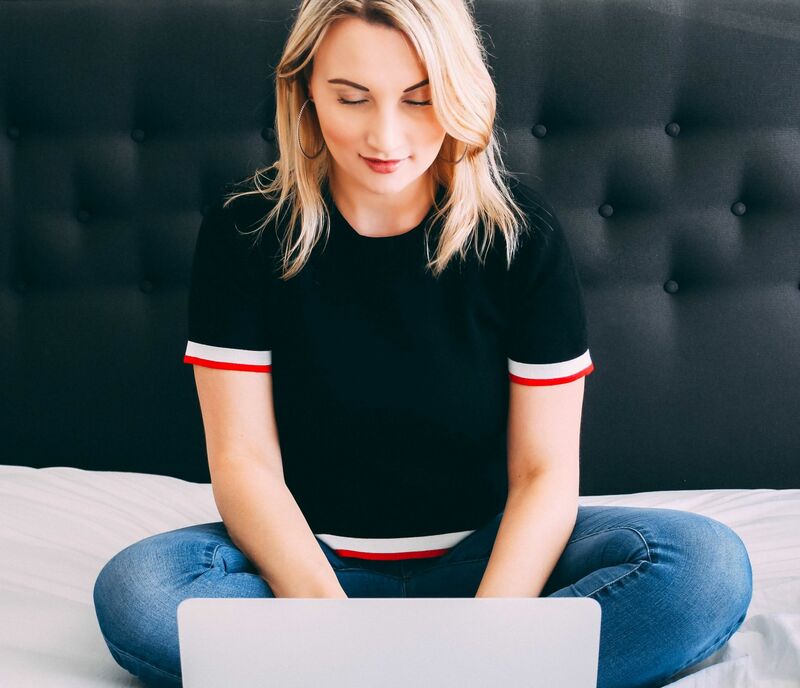 If you’re not into blogging or creating written content, maybe you are passionate about making videos. 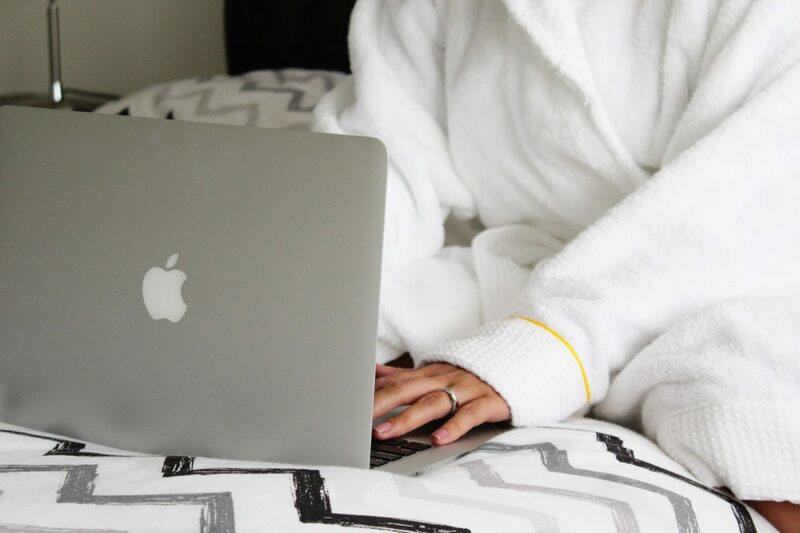 YouTube could be a perfect de-stress tool for you. I personally still can’t bring myself to creating YT content. I am just not there yet. Maybe one day. Maybe not ever. Will see. 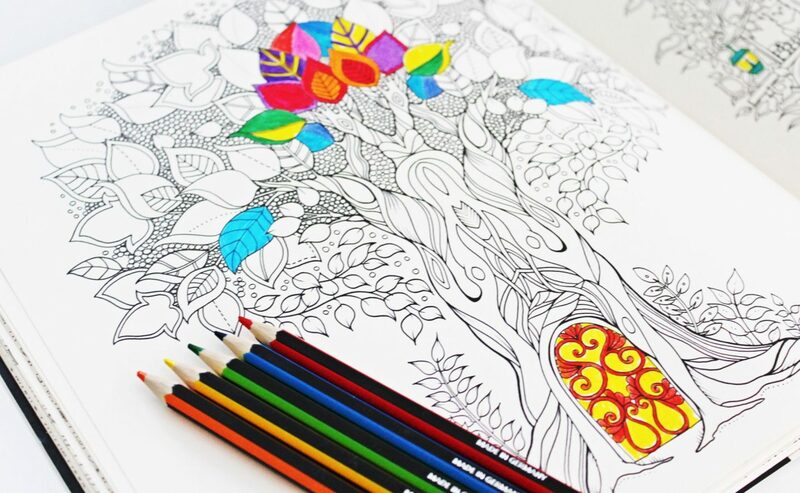 If you’re in a bit of a loss just about now wondering WHAT can be your creative outlet, pick up a colouring book and start there. Browse through random Pinterest boards and get inspired. Or get those supplies and make that DIY project. You will feel better in no time. 5. 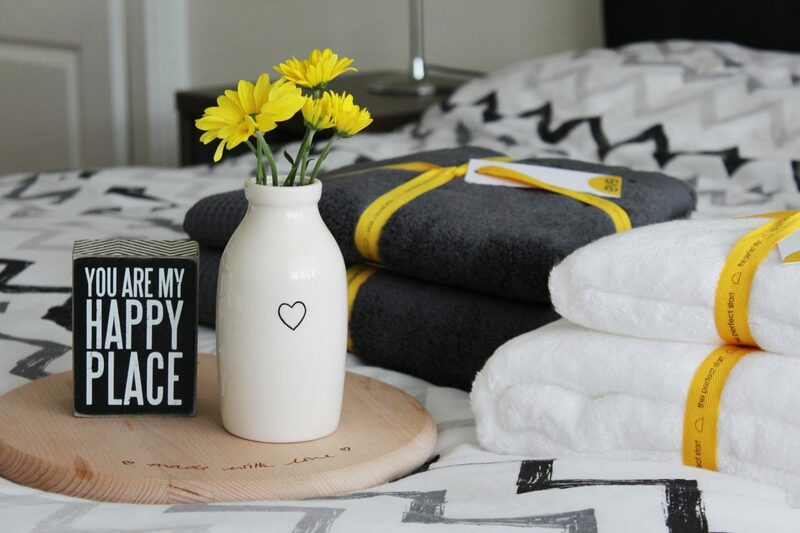 Take a shower or a bath (+ wrap yourself into the comfiest towel and bathrobe afterwards). It’s a know fact that a cup of tea solves all the problems in the world (well, it does here in the UK). A relaxing bath or a long shower has pretty much the same superpower. I don’t know about you but I am very particular when it comes to bath time. The right water temp, the right bath bomb, the right amount of bubbles. I do love a good bath as much as I love a hot long shower. But there’s one more thing. A good quality towel which I would be looking forward to wrapping myself into. Because, let’s be honest, there’s nothing worse than picking up a “too-rough-on-the-skin-and-a-bit-too-small-to-be-a-bath-towel” towel after stepping out of the warm bath. I have been on the hunt for one (or two) for ages. Even though I do appreciate a good bargain, there are certain items I never buy cheap. Like, a mattress. Your sleep is waaaaaay important to be ruined by an awful mattress. Same goes for towels in my books. 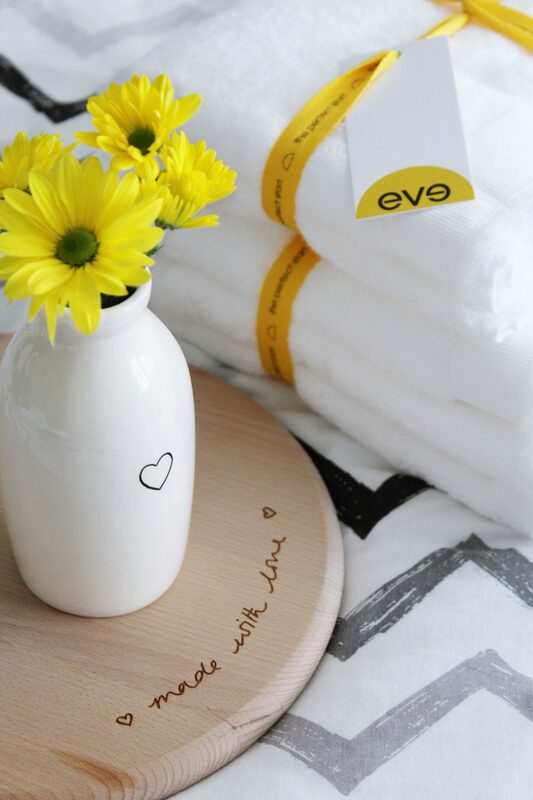 That’s why when eve Sleep* got in touch with me and offered to try their freshly-launched and flawlessly BEAUTIFUL towel range, I was on cloud 9. I tried high-end towels before. Some were a success while others shed on me (turquoise fluff all over my body and bathroom floor – nightmare) after the first use. So I set my bar very high for eve Sleep. And they over-delivered. I received 2 sets* in both colours: their signature crispy white and a gorgeous muted grey. – Bath Towel (which fits more into a bath sheet category with its generous size). They are THE fluffiest and THE softest towels I have ever used in my entire life. And I’m not exaggerating or sugarcoating. On top of that, they are durable, they wash well (no bubbling, colour fading or shedding – thank goodness! ), and they stay super soft and dry insanely fast. 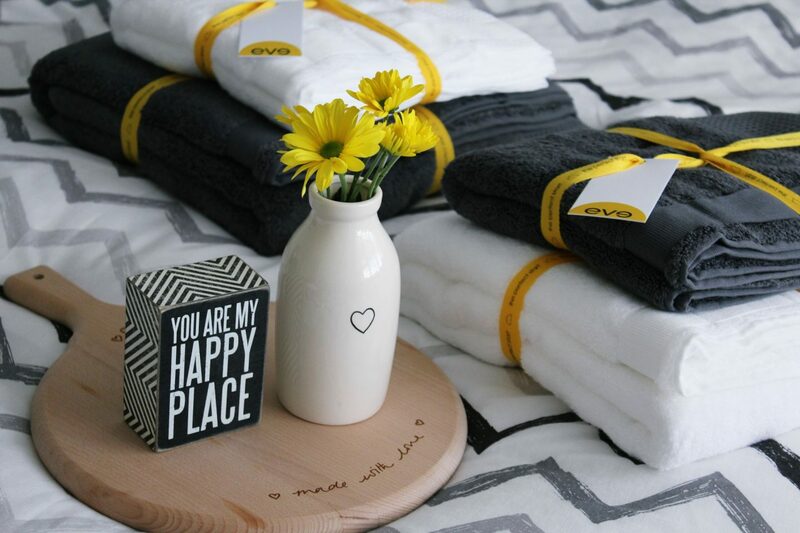 And when you thought I was done raving about these perfect towels, I am going to throw in a few more things that made me swoon BIG TIME. Unlike other towels, these babies are made with 100% zero-twist cotton. Which means that they are super durable, top-notch quality and they stay soft. For ages. Finally, cherry on top: the loops! The towels have the hidden loops running through it (they are also super soft) which makes it an absolute piece of cake to wrap it around your head, bust and waist. And it won’t come loose in 3 seconds. Plus, that waffle detail. And it’s also soft. I genuinely can’t get over the quality and the softness. I’m sure you can tell. I also got two exclusive bathrobes* which aren’t available for sale yet but I will keep you posted when they are. I could live in them. At some stage in our lives we all have faced the same situation/issue – when our minds go into this self-doubting & self-destroying mode. As much as it’s perfectly fine to be your own critic (just don’t go too harsh on yourself), think about your successes a lot more than you do about your failures. Yes, failures are useful too and definitely teach us a lesson a two. But please do celebrate you, and all those tiny & huge achievements and moments when you were stronger, happier, more positive than you ever thought you could be. This one goes without saying. A simple chat and a little catch up can do wonders not only to your current mood or stress levels but to your mental health as a whole. Make time to spend time with people who mean a lot to you. Return a phone call you’ve been putting off. Reply to that message that’s been sitting there unanswered for days/weeks. Your loved ones, whether it’s your family members or your friends, will listen to you and will try their best to support you through anything. And even if you think your life is pretty great at the moment and you don’t need any help, reach out to help THEM. Love is not something that has a limit. You give and give, and give more. And it just multiplies. Content isn’t sponsored. Items were kindly gifted by Eve Sleep. Leave a comment and let me know if you have any of Eve Sleep goodies in your home. What set of towels would you pick up: white & grey? 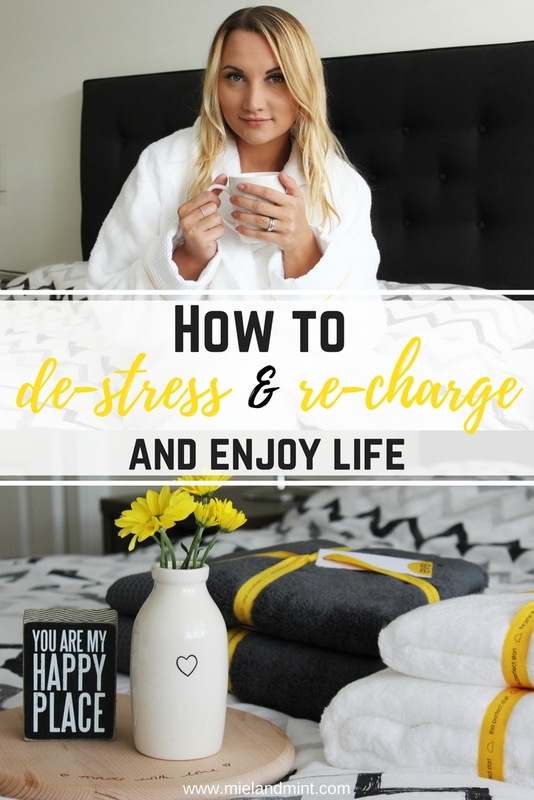 What tip on how to de-stress & re-charge have you enjoyed the most? Share your own.